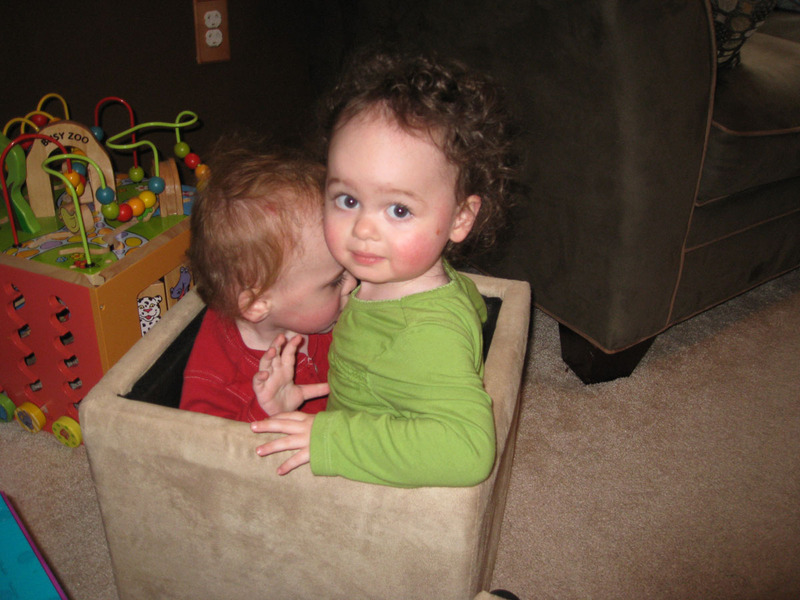 Toddlers do not appreciate personal space. 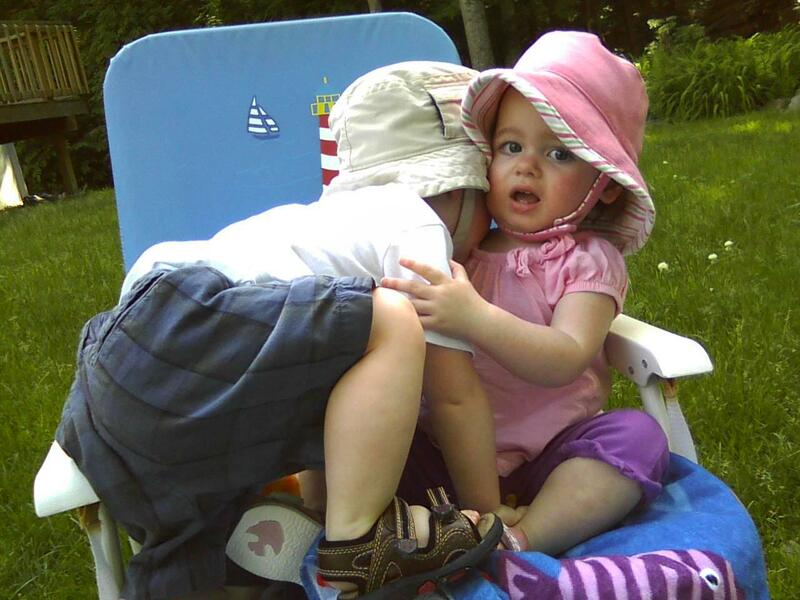 And, unfortunately for Ava, Colin is all up in hers. If she is playing nicely with something, he comes over and rips it away from her. If she is building an architectural wonder made of blocks, he runs over and smashes it and then smiles. He's not being mean, he just thinks it's loads of fun. Aren't twins supposed to know how to share better than singletons? 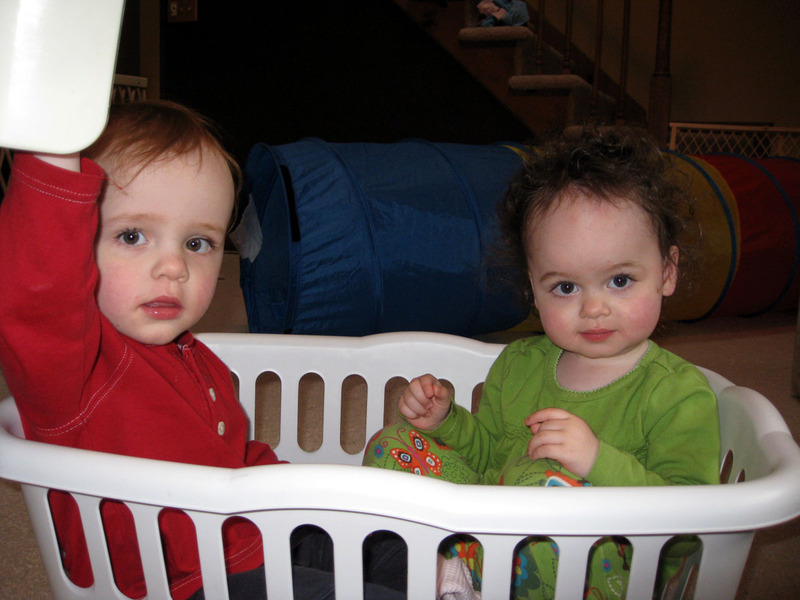 If Ava climbs in the laundry basket, Colin has to join in on the fun. Basket, not so bad since there is plenty of space for both of them, but as you will see below, smaller spaces signal an imminent cry from one or both. 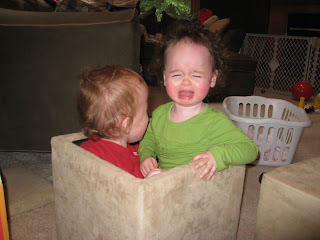 Ava was alone in that tiny ottoman, Colin somehow climbed in causing Ava to be very upset. On another note, the one nap thing isn't going so well. Some days it's tolerable at 90 minutes, but the past 2 days, an hour or less? And I can't get them to settle back down once they wake up no matter how hard I try. I really would hate to have to start napping them in different rooms, but I'm losing my sanity here. Any advice? Cute pics! As far as napping.. try pushing the time back if you can. So if they normally nap at 1230. try putting them down at 130 or 2... the more tired they... the better! Those pics are hilarious! What cuties. As for nap times- I sure wish I knew a trick to make them nap longer. Sometimes I have a little dance party before nap to make them burn off energy so they can just sleep.